Local markets often have their own popular payment processors. In Portugal it’s Multibanco, and it is enormously popular with the residents. Just few people outside Portugal have probably heard of this company as it’s designed for Portuguese people only. Besides ATMs, Multibanco has a range of other services that provide Portugal residents and guests with safe and simple ways to make payments. The company offers solutions to use at online and offline stores and therefore is available for topping up iGaming accounts. There are multiple services Multibanco users enjoy. But online gamblers don’t need to know all of them. MB Net and MB Way are the most important services they should know. The latter is a mobile application which allows users to generate prepaid cards. Generating a virtual card is safer for online payments as giving your actual bank card details is always a risk. When gambling online, you sometimes can’t be 100% sure of websites’ reliability. Instead of exposing your sensitive information and fearing someone might try to steal your money, you use a virtual card. MB Net is basically used for the same purpose, but unlike MB Way, it isn’t a mobile app. People would just access their accounts through browser to generate virtual cards. The two options are interchangeable. Players using this banking solution are free to choose any of the two to make a deposit. 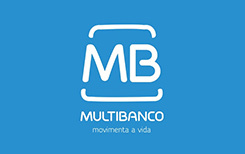 To join Multibanco and access its services, you need to have a debit/credit card issued by one of participating banks. They are: Activobank, BancoBPI, and many others, Barclays being the most widely known brand among them. Even if your bank is affiliated with the service, make sure you are allowed to use it. If you are a customer of one of those banks, you need to access MB Net website or download MB Way app. But prior to using the options, you need to register with the system. Visit one of Multibanco ATMs and obtain MB Net ID. The system will register your card and generate a unique ID number which will be associated with your card. You’ll also be asked to provide a secret code as a security measure. Once ID is generated and security code is set, you can visit MB Net website and log in by providing these details. After that you are free to order a virtual card. In case you don’t want to be a part of MB Net, you can cancel your ID using any of Multibanco ATMs. To use the mobile application, you also need to find ATM installed by the network and register a phone number that will be associated with a card. Then set PIN and you are ready to use MB Way app that offers the same features as MB Net. Before you can buy casino credits, you need to generate a virtual card. It can be a Single Purchase type card, which allows just one purchase and valid during 2 months, or a Merchant card. The latter doesn’t limit the number of transactions and is issued for one year. Using virtual card is very simple. It has everything regular debit/credit cards have, it just doesn’t exist physically. When uploading funds to iGaming account, you don’t have to provide the actual card, but the information about it. That’s why Multibanco virtual card would perfectly suit your iGaming needs. For Portuguese gamblers this is an excellent way to buy casino credits. It’s secure, fast and convenient. One of the greatest advantages of Multibanco is that players don’t have to provide real card details. There are Multibanco ATMs everywhere in Portugal and accessing one won’t be a problem. Another great thing this network offers is the opportunity to generate different cards. Whether casino accepts Visa, MasterCard or American Express, you’ll be able to easily get any of them. Portuguese people love this network and its services, including MB Net and MB Way. Indeed, the opportunities Multibanco offers are great, and one can only regret having no account with one of participating banks.